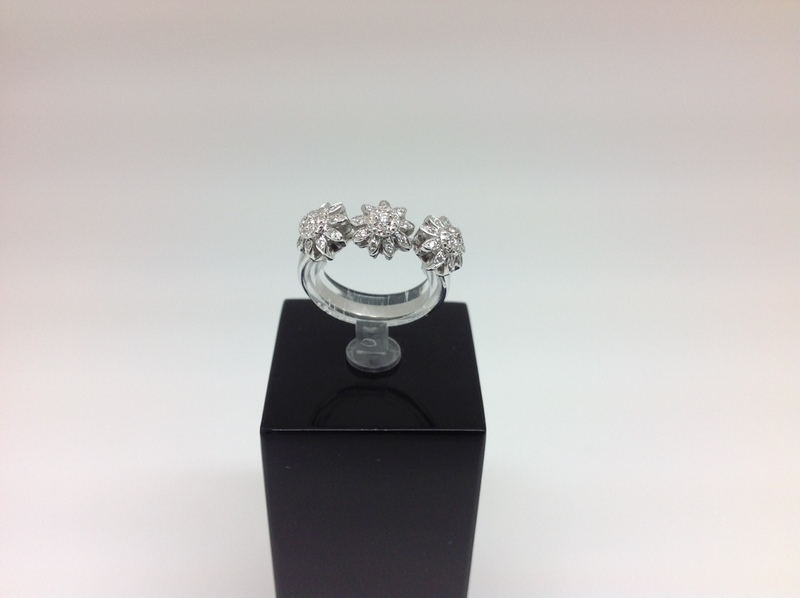 RING WHITE GOLD 18 CARATS WITH THREE MARGARITAS �IN BRILLIANT CUT DIAMONDS 'COMPRISED OF 3 BTES. 0.015 KTES. MORE 27 BTES. 0.006 KTES. A TOTAL OF 0.20 CARATS' DIAMOND COLOR H AND PURITY SI. CERTIFICATE OF GARNT�A. THE TAMA�OR IS THE N� 16 OF the PALO TATUM. 'AS UNIVERSAL GEM'.